The trend is like rock music that keeps both performers and audiences get excited. Likewise, the latest trend in mobile app technology has kept both mobile app developers and users on the peak of excitement. The year 2014 saw a tremendous growth in mobile app development and that trend has been continuing with highly interactive features to keep you engaged. To make use the most of mobile apps development, it has become essential for mobile app developers to adapt to the latest trends. There has been considerable developments happened in the mobile app world, including mobile web apps. Mobile web apps look nearly same as native apps (or mobile apps) at first glance. But when comes to benefits getting by both businesses and you, mobile web app has a greater advantage than native apps in terms of compatibility, wider accessibility and cost-effectiveness. It has pushed businesses to prefer mobile web apps nowadays. You can also go for hybrid apps (blended features of mobile web apps and native apps) for greatest benefits. Mobile wallet, a type of mobile payment method, has created a great impact on businesses since its inception. Mobile wallet is considered as more secure than conventional methods of payment, which has stimulated even banking sector also in recent years. It is expected that the mobile payment method may overtake the credit and debit card payment methods in the coming years. Single click bill paying feature with high security has made mobile payment apps popular and it could be more popular in the near future. Whatever the business you are into, mobile payment apps could be a difference maker. Any application with an eye-catching UX (user experience design) is the utmost of necessity to gain the attention users and making them engaged. A proper integration of parallax scrolling effect into mobile apps ensures a rich user experience, which can retain user attention for very long hours. Parallax scrolling technique integrated mobile apps are becoming more and more trendy nowadays all around. If you provide great experience for your app users, your app will be automatically popularized. Since the drastic rise in smartphone usage, it is of great importance making a smooth and seamless integration between the application data. Mobile cloud computing has made this task easy for developers by changing the way of storing information. This major breakthrough encourages businesses to switch over to cloud based apps. In terms of both security and cost, you can rely and accept cloud based mobile apps. As you know, mobile games are favorite of all age group people. Gaming and social networking mobile apps are in great demand nowadays all over the world. The innovation of multiple-player mobile gaming apps has created a great craze among mobile game lovers. 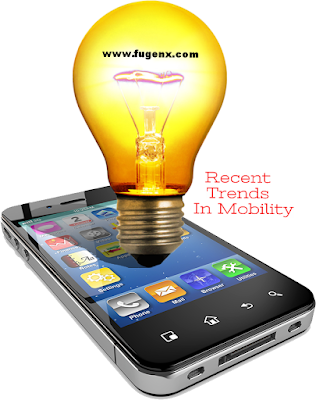 So Innovation in mobile game development is needed for creating popular mobile games. By integrating social media and social interaction within apps properly, developers can build highly interactive multi-player gaming apps. When promoting any application, developers mainly need to consider client’s budget and time constraint, it has to be handled tactfully. User engagement was the major thing that developers considered to promote an application previous year. This year seems developers are more likely to go with area based Wi-Fi services and beacons. In this highly competitive mobile app world, it is always a difficult task for developers to make their apps get noticed, but fugenx is the award winning mobile app development company in India providing services in India, USA, Kuwait and Saudi has that capability to convert your ideas into the mobility.We also have Android app development and iPhone app development services.We have knowledgeable mobile app development team who work effectively according to the latest trends can be a mentor for revenue generation for businesses.